Many visitors (myself included) are surprised on their first visit to Rebel State Commemorative Area. 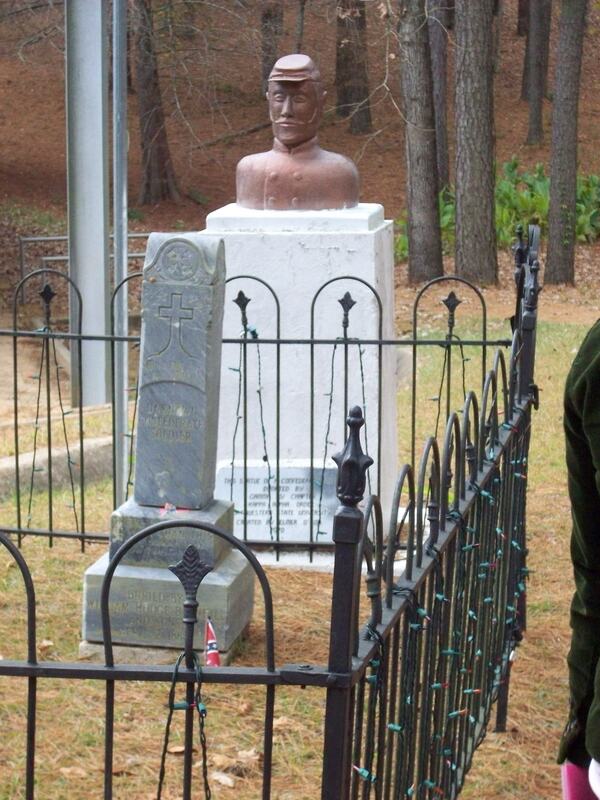 The site marks the grave of a lone Confederate soldier, but is also the site of the Louisiana Country Music museum. The Country music museum is absolutely worth the drive. 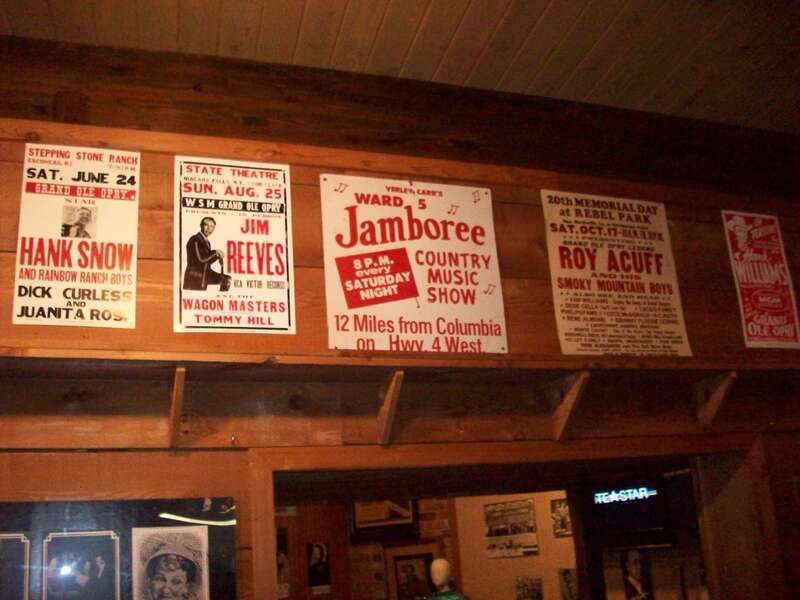 The museum offers a Louisiana-focused history of Country music, from its traditional folk roots to the 1970s. The story of the site is as compelling as it is troubling (see below for my thoughts on the troubling part). 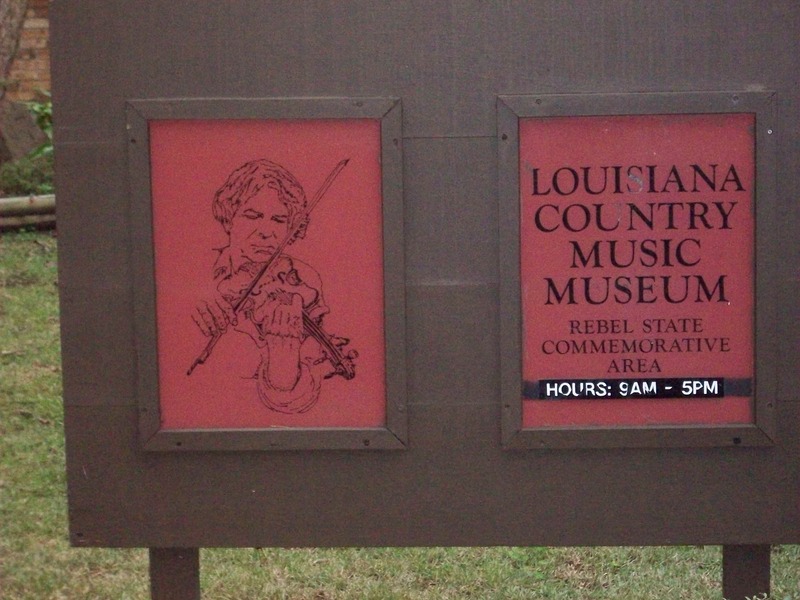 The mission of the site was not entirely clear; however, interpreting the history of country music through the Louisiana Country Music Museum and maintaining the historic site marker seem to be obvious points. We visited on a cold morning and didn’t encounter any other visitors. 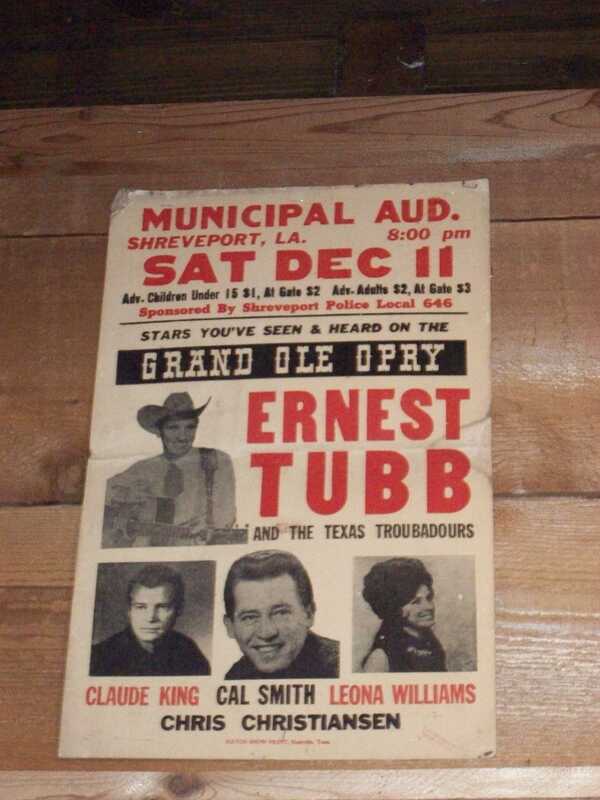 The site is a wonderful resource on Louisiana Country music, provides some interpretation of the Civil War, and offers picnic tables, barbeque pits, a pavilion, and a large amphitheater (unfortunately, the site no longer regularly hosts music). The interpretive ranger was helpful, knowledgeable, and full of new ideas, including building a recording studio on-site for area aspiring musicians. The museum pays tribute to early gospel, folk, and work-song influences, and does a splendid job of interpreting the early recorded era of Country music genres, including the Louisiana Hayride, KWKH, and KRMD in Shreveport. The museum does not interpret recent trends in Country music, country pop, or most anything after the “Urban Cowboy” phase. 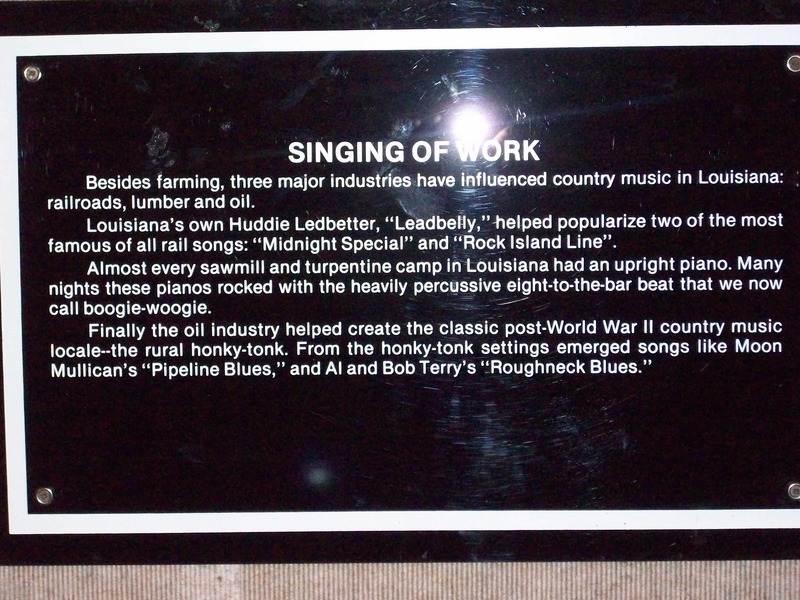 My main concerns with the museum were in presenting Country music’s multi-ethnic roots. 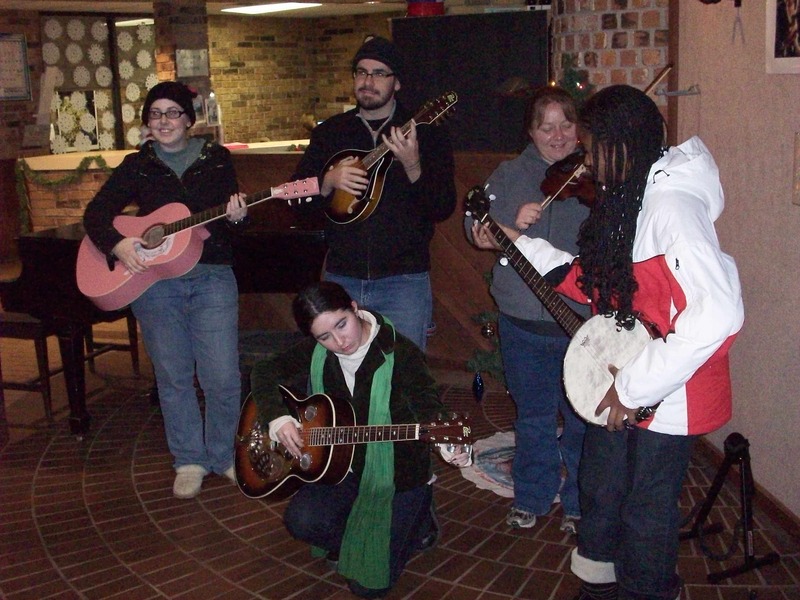 While one display notes that the guitar was of Spanish origin (via Mexico) and another shows the dissemination of the (Irish) fiddle, there is no mention that the mandolin came from Italian immigrants or that dulcimers, accordions and other squeezeboxes are from Germany and Central Europe, or that the banjo comes from West Africa. Much more troubling are the possible links between music and commemorations to the Confederate solider. 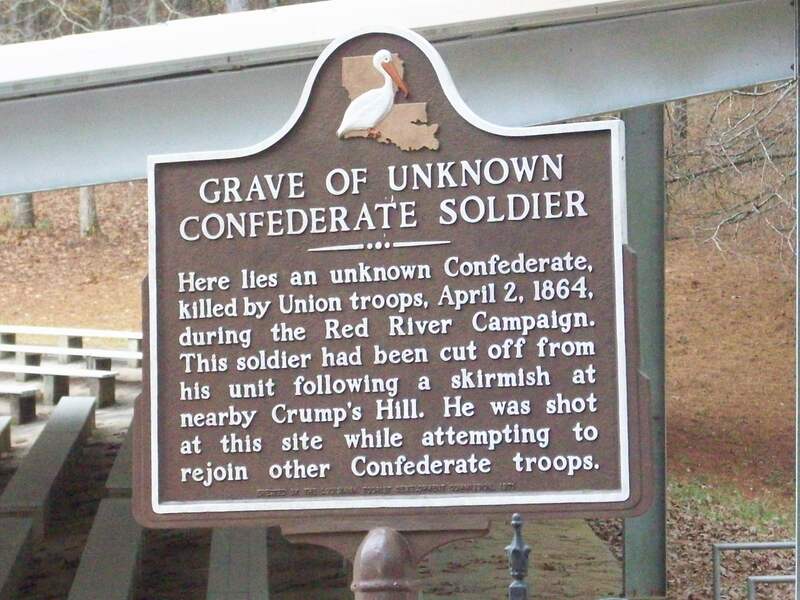 The Confederate solider was separated from his unit and supposedly killed by three Union cavalrymen, while stopping at a spring for a drink of cold water. The Barnhill family buried the solider. A marker was placed on the grave in 1962, and annual memorial services grew to include live performances of Country music. 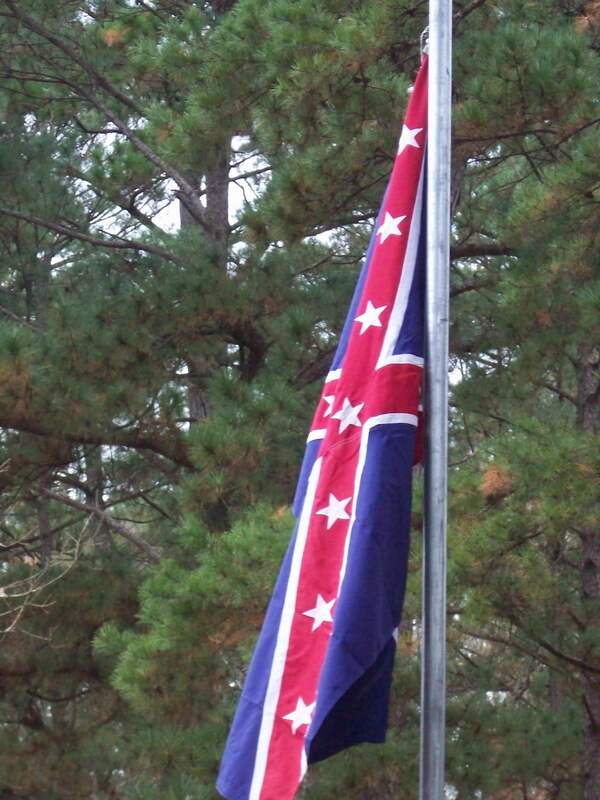 The narrative is telling, and parallels the narrative of southern defeat repeated for one hundred years: The federal government and northern industrialists, lacking any respect, gentlemen’s code, honor, or courtesy for the old ways of life, outnumbered and outresourced poor “Johnny Reb” and kicked him (them) while he (they) was (were) down. But a good family restored his (their own imagined) honor in death, and many people commemorate his (the lost cause’s) memory. Louisiana has the second highest proportion of Black folks in the United States. Natchitoches Parish has a higher percentage of people of African ancestry than the state average (about 38% Black), but the Marthaville area is outside the Red River Valley in an area of Anglo “white” farmers and their descendants. A place with those demographics seems obvious to commemorate country music. But rural transformation has affected Black and white families unevenly (see Southern Farmers and their Families by Walker, reviewed in Red River Valley Historical Journal 2007 (5) volume 5, 147-149), and in places where the slightest material advantages or “psychological wages” seem like clear class differentiation, racism manifests as “common sense” among working class whites. 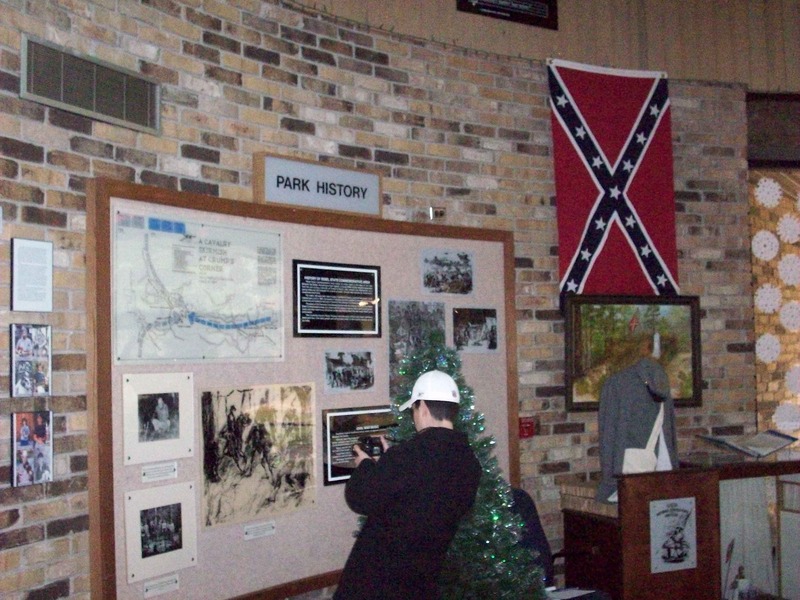 Given this complex context, placing a “Confederate” Flag near the entrance to the museum invites accusations. The placement of this flag near the door to the museum is problematic. The state would do well to 1.) highlight contributions of ethnic immigrants 2.) highlight contributions of African Americans to country music (not just Huddie Ledbetter) and explain the African origins of the banjo, 3.) place the Civil War interpretation in context and, 4.) 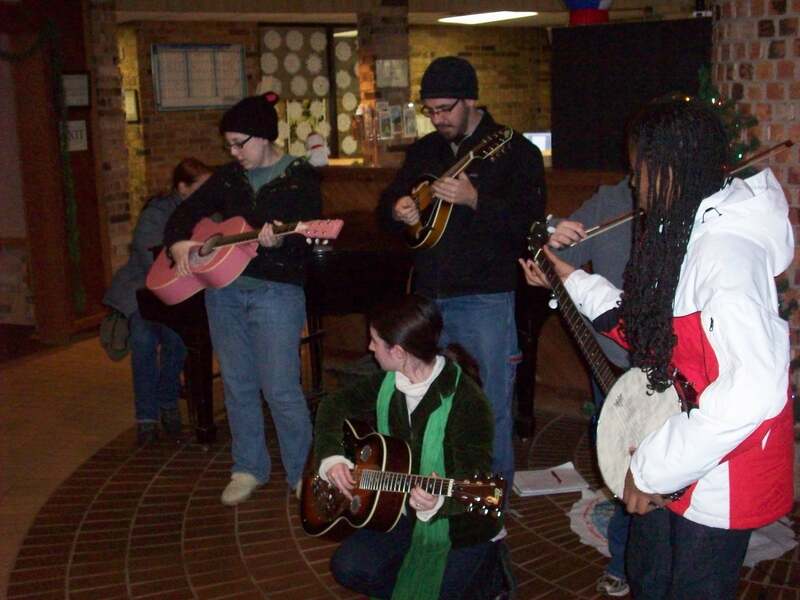 offer an annual music festival that highlights both country and the breadth of folk musics of Louisiana. The Natchitoches Fish Hatchery is a built environment, yet still a combination Natural Resources and Heritage Resources site. Hatchery Manager Karen Kilpatrick introduced the MAHR (Masters of Arts in Heritage Resources) class to the history and inner-workings of the hatchery. A small aquarium and museum is on-site. In addition to raising fish, the site conducts environmental education, cultural heritage education (including events on Caddo culture), and special events. About ten years ago, an American Indian employee of the hatchery brought forth concerns about the desecration of the Caddo burial grounds. The hatchery responded with a day of reconciliation and prayer, followed by a much higher level sensitivity to interpreting the cultural history of the Caddo village and burials that the hatchery sits on. The site is now listed on the National Register of Historic Places, and the Smithsonian has agreed to repatriate. I have details of the sequence of events from year 2000 to present in my field notes, but choose not to publish them here. More recently the Hatchery unveiled the Caddo Memorial Plaza. Karen Kilpatrick shared a slideshow that included a lot of information, including Winslow Walker’s excavation including Caddo horse burials. Next, Regional Archaeologist Jeff Girard met us. He pointed out the location of his dig, which included a prehistoric site on the hatchery grounds that he excavated in 2007. It was apparently NOT associated with the earlier Caddo excavation. Girard began by giving us background of Winslow Walker’s excavation and the “direct historical method” (cf Bureau of American Ethnology; John Swanton). The site included a layer of dark soil associated with habitation, broken pottery and very few features. Girard used a water screening method, with flotation tank. This preserved plant remains and lightweight objects that would have otherwise been lost. He found a high concentration of fish, turtle and deer remains, as well as hickory/ walnut, pecan shells, maize and persimmon. The pottery he found resembled pottery of Central Louisiana rather than Caddo. The excavation was near a proposed Caddo repatriation plot, so that’s all the detail I care to relay in this public setting. The meeting with Girard was very informative. I look forward to any opportunity to learn from him in the future. This site visit, including the interaction with Karen Kilpatrick and Jeff Girard, is not typical of what public users (tourists) would experience. I am grateful for that, but it makes the visit difficult to translate to public end-users’ expectations. In any event, a visit to the hatchery is well worth it. There is a knowledgeable director, small but nice aquarium, museum and learning center, and friendly staff. Their website at http://www.fws.gov/natchitoches/ needs improvement, and if they continue down the road of working cultural resources into their mission they should work to acquire a staff dedicated to public interpretation and more aggressively promote visitation. Regional Archaeologist Jeff Girard will likely speak to our class on the Regional Archaeology program, as well as his fieldwork at the Fish Hatchery (16NA70). A pdf of his paper provided by Dr. Haley would not load in Blackboard, but I found an untitled paper for background at the CRT website. After hearing about the excavations, we will visit the hatchery. The Regional Archaeology program now includes four regional archeologists for the state, plus one for Greater New Orleans and another for Poverty Point. The program once had additional station archaeologists. The program is part of the Louisiana Division of Archaeology, CRT (department of Culture, Recreation, and Tourism), and a map of the regions is available at their website http://www.crt.state.la.us/archaeology/regarch/regarch.htm. The location of the fish hatchery is 615 South Drive in Natchitoches, not far from Northwestern State University. It is owned by the US Government and managed by the Fish and Wildlife Service. The phone number is (318) 352-5324. The site is a working fish hatchery that includes an aquarium and limited interpretation of Native Americans that once occupied the site. The hatchery realizes that this is considered a sacred burial ground of the Natchitoches band of Caddo, therefore, the Fish Hatchery management tries to cultivate a meaningful relationship with the Caddo Nation. I don’t know what to expect of this visit. Fort Jesup is an important military installation in US History. This site represents a historical moment when settler-colonial Manifest Destiny morphed into US Imperialism vis-a-vis other modern nation-states. The fort was built in 1822, not coincidentally following the Mexican War of Independence from Spain. The fort was instrumental in the founding of the Republic of Texas and covert operations for the War of Texas Independence. The fort set the stage for the Mexican-American War (1846-1848), which in Mexico is known as the Intervención Estadounidense, before being decommissioned. The resource, including the interpretive center, seems under-utilized. 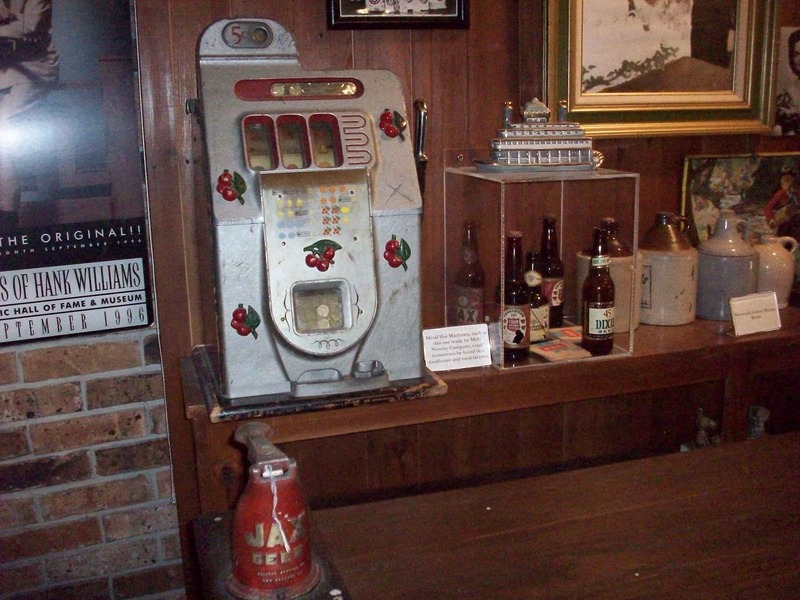 Upon entering the visitors center, the artifacts and reproduction pieces failed to convey a cohesive story. However, my first impressions were still positive. Luckily, the interpretive ranger did an adequate job of communicating key facts of the site before releasing us to visit our “off-site” archeology (this area is privately owned, but a historically important part of the fort). The only other visitors during our trip pulled up as we were leaving. They were a retired couple enjoying a Friday drive. The man was doing genealogy on a forefather who was once stationed at Ft. Jesup. 1. )Interpretive Center: Create an interpretive plan to integrate available artifacts with existing resources, and to identify gaps in material culture that would help tell the story of the fort. 2.) The state to re-establish and fund the period costume workshop. 3.) That Dr. Haley consider integrating the public into some facet of archeology done in the area. I enjoyed my visit and look forward to spending more time there. Poverty Point was everything I had hoped for: a large, publicly owned site, good interpretation, a visitors’ center, and a dormitory that housed the Heritage Resources students on our overnight trip. The Poverty Point Earthworks have been noted since the 1870s, but aerial photography revealed a more complex system excavated since the 1950s. The site’s purpose is to preserve and interpret the earthworks. The earthworks are a National Register listed State Park, National Historic Landmark, and is a National Monument. Poverty point has been the location for a number of field schools for Tulane University, University of Louisiana- Lafayette (ULL), and Washington University in St. Louis, among others. The central hall of the dormitory area includes photographic testament of many of those field schools. More recently, Mississippi State (Starkville) and University of Louisiana- Monroe have employed “high tech” methods including magnetic graditometry and began limited excavation of the central plaza earlier this year. Since our group constituted the visitors present early on Halloween morning, I chatted with the park rangers about their knowledge of the site and visitors’ usual questions. Interpretive rangers like to explain the Poverty Point culture and differentiate it from the later Coles Creek culture of Sarah’s mound. Erosion is a major concern for preserving the site, and site workers are in a constant battle to reduce erosion. The only recommendations I have are for the State of Louisiana to provide a larger staff to care for the site, and to implement credit/debit card machines in the gift shop. The second and third stops on the way to Poverty Point were two locations where MAHR students are doing thesis research in LaSalle Parish. Neither site had tourists or other visitors while we were present. White Sulphur Springs has seen better days. Courtney Cloy provided visitors with on-site interpretation and distributed a hand-out which included a map of the area, circa 1900. The visit entailed looking at what once was a more active spring and lots of walking through the woods in the rain. Using the map as a reference, Mr. Cloy performed a pedestrian survey of the area which revealed surface evidence of the Bethards Hotel. Mr. Cloy will be mapping the area and preparing an amendment to previous National Register documentation as part of his thesis project. The location is an unassuming roadside gazebo and associated Archaeology site on private property. Mr. Cloy’s excitement regarding the subject matter was evident. However, I think he tended to “over-interpret” the site, given current knowledge of the site. Much more investigation is needed to do interpretation. Mr. Cloy is a native of LaSalle Parish, which explains his fascination with this place. White Sulphur Springs was once an important tourist destination in LaSalle Parish. Most of the sprawling development, which included numerous hotels and stores, and may have included a casino and brothel, has been lost to history. Mr. Cloy aims at recovering it. Our cohort visited the Jena Band of Choctaw Administration Office where we met Marie Richards (MAHR 2010). Ms. Richards gave the class an extemporaneous overview of her thesis work and some introduction to the tribe and its history, including a list of traditional and elected leaders. The visit would have been improved with a member of the tribal council or a tribal crafts-person. The visit might have also been improved with a brochure or hand-out on the history of the band, tribal activities, or social services (especially the health center). I found the subject matter, a band of American Indians with a living culture, much more engaging than White Sulphur Springs, but I feel as though the site and topic were “under-interpreted” to our class. The Louisiana Maneuvers and Military Museum, located at Camp Beauregard, shattered many of my preconceived notions. Knowing that the museum is run by the Louisiana National Guard, I assumed it to be overflowing with patriotic propaganda and devoid of scholarly rigor or critical interpretation. The museum was undoubtedly patriotic, but was a real surprise. The museum, located in a two-storied wooden barracks, is one of the best small museums that I have visited. Captain Richard Morgan provided excellent interpretation of the museum in general and the Louisiana war maneuvers specifically. It was a real pleasure to meet him. He explained most of the museum in detail then showed us the workshop and curation area. CPT Morgan will be shipping off for Iraq soon.Since the high level interpretation was dependent on his narrative I am worried about the future of the museum. The emphasis of the museum was on great military leaders and military tactics employed during World War II. There was a noteworthy “home front” section, but the emphasis there was on material culture like ration books, patriotic ribbons, etc. It would have been good to have a video or audio kiosk with oral history and interviews of civilians that remember the maneuvers. But overall, the local history was conveyed in a top-notch fashion. My biggest concern is the larger, overarching, geopolitical interpretation of the museum. Genocide is not a subject matter that most people feel comfortably conversant in. The museum did a fairly good “textbook” job conveying Nazi atrocities. CPT Morgan’s interpretation and the written information focused exclusively on the Shoa (Holocaust), the death of some six million European Jews. The visual images included pictures and diagrams of patches worn in concentration camps by homosexuals, Romani, Slavs, people with disabilities, etc. I reminded those in attendance that Hitler and his war machine killed between 11 and 17 million civilians and prisoners of war, and that communists were the first targeted by the Nazis. Despite repeated questioning by Mr. Evans and myself, CPT Morgan maintained justification for the atomic bombings on Hiroshima and Nagasaki, noting that fire bombings killed more and that a conventional invasion of Kyūshū alone could have mounted 200,000 casualties, compared to the 50,000-70,000 of the atomic bombs. Mr. Evans noted that Long term radiation deaths brought the total number up (to at least 200,000). When another classmate noted the scientific breakthroughs of German scientists brought to the United States after the war, the Captain made a remark regarding that could easily be misinterpreted. Soldiers execute orders. It’s the politicians who create foreign policy. In an ostensibly democratic country, it is the responsibility of all of us to demand a just foreign policy, and to question whether, and when war is beneficial to the broad populace. To that end I offer a “patriotic” inscription from the (“new,” c. 1862) Massachusetts statehouse, and a poem from an early supporter of Hitler, Pastor Martin Niemöller. The museum also has an associated library. The library has an extensive Native American collection. Richard H. Holloway is the Archivist and Library Director. The library is new and has no publicity or promotional materials. The Museum and the library are both interesting resources. Both are woefully under-utilized by the public. Perhaps this is primarily a function of their location (on a military facility), but promoting the sites may bring additional visitors. This weekend, our cohort will visit the Military Maneuvers Museum, White Sulphur Springs, Jena Band of Choctaw, and Poverty Point. A previous post contains the pre-site report on the Military Maneuvers Museum. Our cohort will do a trek throughout Central and Northwest Louisiana moving between I-49 and I-20 in a loop Northeast of Natchitoches, south to Pineville, then to White Sulphur Springs and Trout (in the Jena area), then to Poverty Point (near Epps). A potential route is in this Google travel plan. I recently visited the Jena Band at powwow and look forward to this visit. My guess is that White Sulphur Springs will be a natural spring and perhaps an archaeology site, yet I sincerely look forward to it. I have high expectations of Poverty Point. I have been waiting my whole life to go there. Magnolia Plantation normally has personal discovery tours (i.e., self guided/not staffed with an interpretive ranger) on weekdays. The MAHR 2011 Cohort visited Magnolia Plantation on a Friday but were lucky enough to have met Mr. Dustin Fuqua and Jeff Guin there. This visit was more of a project continuation, where the class worked on our podcasts and videos. Instead of general site interpretation, Mr. ? focused on lesser known landscape features of the site, including fence posts, places of cisterns, and a cattle dipping area. We also toured the hospital/overseers cabin. Visitors who happened upon the site as part of the larger complex of downriver plantations did the self tour.They told us they liked it. Even though the park area of Magnolia is relatively small, the park is clearly a rich resource. I had a feeling we didn’t get enough backstory and wish we could have had more overall site interpretation. I hope to share more on Magnolia when our cohort gets the podcast and videos completed, and hope to return again to explore Magnolia. The Grand Ecore Visitor Center, a US Corps of Engineers site, is located just north of Natchitoches on the Red River. The prospective visitor can find out a lot of information by reading my pre-site post on the center. The exit from Grand Ecore Road (US 84/Highway 6) is obscured by a big sign advertising the shooting range. The entrance to the center is immediately to the right after turning off Grand Ecore Road. Turning into the drive, the road splits around a large “hill”. Continuing through, the visitor reaches a prominent wooden structure built on a bluff. Yeas: a.) Museum focuses on the immediate area. b.) museum looks at area in a holistic way- geology, history, anthropology, archaeology, geomorphology, industry, transportation, paleontology (one exhibit and the skull of an extinct water mammal) c.) good use of available technology d.) a very nice building and facility e.)very nice interpretive display panels (the one on archaeology could have been much better, see below). f.) an amazing view of the Red River and g.) friendly staff eager to learn information to fill gaps in their knowledge. Nays: a.) Misinformation about archaeology near the site b.) Lack of information about Civil War ground positions in area (all interpretation focused on the river itself) b.) lack of interpretation/ disinformation regarding multiple Confederate earthworks on the site c .) Staff not knowledgeable about sequence of events in Grand Ecore’s history d.) lack of attribution of photos or other interpretive materials e.) (my pet peeve)…use of a private contractors design and build the site and to other private contractors manage it. I know this is prevailing practice, but I yearn for the “good old days” of General Douglas MacArthur’s tenure at the COE… public works that employ public workers… something the FOX News crowd might call “communistic” (!) today. The Yeas have it…. but the bill passes on a slight margin. I vote for it, despite its flaws… besides, it’s one more museum and brings jobs to my legislative district.